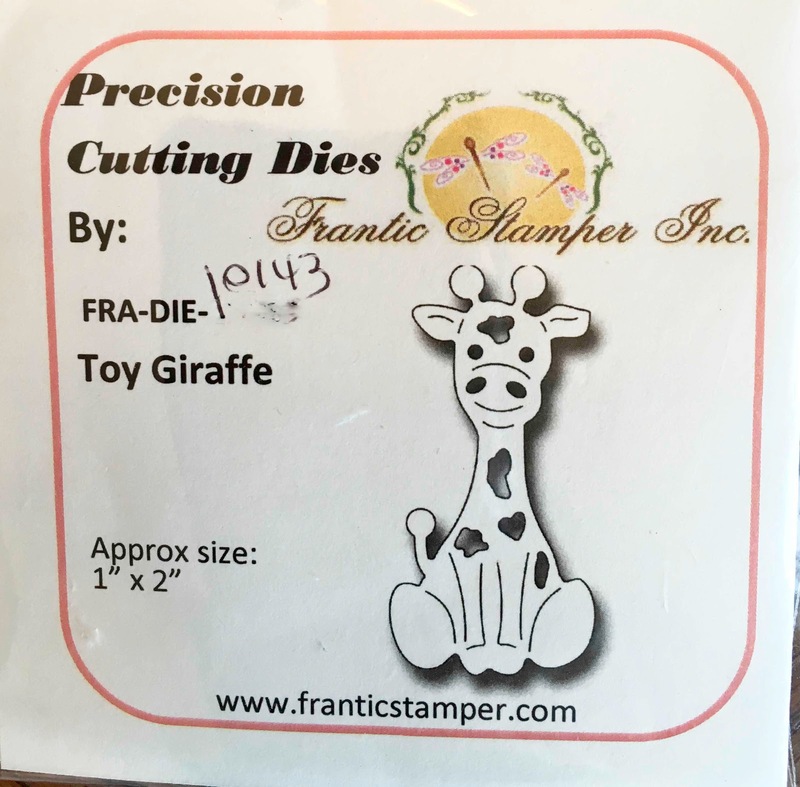 The Frantic Stamper Toy Giraffe-10143 is another adorable baby die in the 2017 March release. This little giraffe is so cute and so adorable on any baby card. Also, I used two other 2017 March releases: Frantic Stamper Precision Die-Adorable Bundle Set-10138 and Frantic Stamper Precision die-Baby Boy/Girl-10141. Other Supplies: Sue Wilson Lattice Heart Embossing Folder, ribbon, adhesive, rectangle buckle slider for ribbon, black ink pen. Card measures 6" x 6". Using heavy white card, cut 6" x "6 and score in the center for you card. 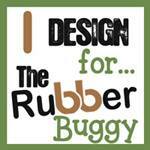 Cut 6 1/4" x 6 1/4" yellow/cream card stock. Cut 6" x 6" pink card stock and 5 1/2" x 5 1/2 white shimmer card stock and emboss with the Sue Wilson Lattice Heart embossing folder.. Assemble and adhere each paper as shown in card photo. Cut three banners with white shimmer card stock, pink card stock and white/pink patterned paper. Cut the inside banner of the pink and white/pink patterned paper and adhere to the banner and then to the card. Use the heart pieces of the banner and adhere to the card as shown in the card photo. Cut the baby pens from the Frantic Stamper Adorable Bundle Set in pink paper and adhere to the ends of the banner. 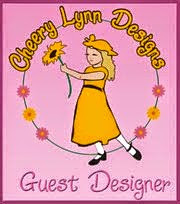 Cut the Cheery Lynn banner with striped pink paper. Using the Frantic Stamper Adorable Bundle Set, and Frantic Stamper Baby Boy/Girl set, cut out the Adorable, Baby and Girl and adhere on banner and adhere banner on card. Cut out the Frantic Stamper Toy Giraffe with pink card stock and cut small pieces of yellow/cream card stock and adhere to the back of the giraffe. Cut out the Marianne Designs Oval Passe Partout with white shimmer card stock. Adhere the giraffe on the cut out of the Oval Passe Partout and adhere this to the card.